Massive transfusion (MT) is a lifesaving treatment for trauma patients with hemorrhagic shock, assessed by Assessment of Blood Consumption (ABC) Score based on mechanism of injury, systolic blood pressure (SBP), tachycardia, and FAST exam. The aim of this study was to assess the performance of ABC score by replacing hypotension and tachycardia; with Shock Index (SI) > 1.0 and including pelvic fractures. We performed a 2-year (2014–2015) analysis of all high-level trauma activations and excluded patients dead on arrival. The ABC score was calculated using the 4-point score [blunt (0)/penetrating trauma (1), HR ≥ 120 (1), SBP ≤ 90 mmHg (1), and FAST positive (1)]. The Revised Assessment of Bleeding and Transfusion (RABT) score also included 4 points, calculated by replacing HR and SBP with SI > 1.0 and including pelvic fracture. AUROC compared performances of the two scores. A total of 380 patients were included. The overall MT was 27%. Patients receiving MT had higher median ABC scores [1.1 (0–2) vs. 1 (0–2), p = 0.15] and RABT scores [2 (1–3) vs. 1 (0–2), p < 0.001]. The RABT score had better discriminative power (AUROC = 0.828) compared to ABC score (AUROC = 0.617) for predicting the need for MT. Cutoff of RABT score ≥ 2 had a sensitivity of 84% and specificity of 77% for predicting need for MT compared to ABC score with 39% sensitivity and 72% specificity. Replacement of hypotension and tachycardia with a SI > 1.0 and inclusion of pelvic fracture enhanced discrimination of ABC score for predicting the need for MT. The current ABC score would benefit from revision to more appropriately identify patients requiring MT. 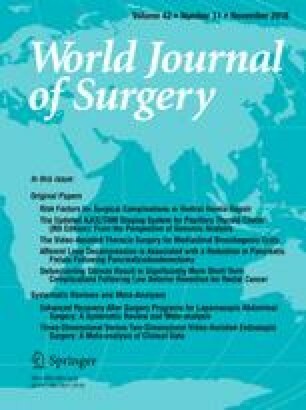 Oral presentation at the 47th Word Surgical Congress of Surgery, 13th–17th August 2017, Basel, Switzerland.